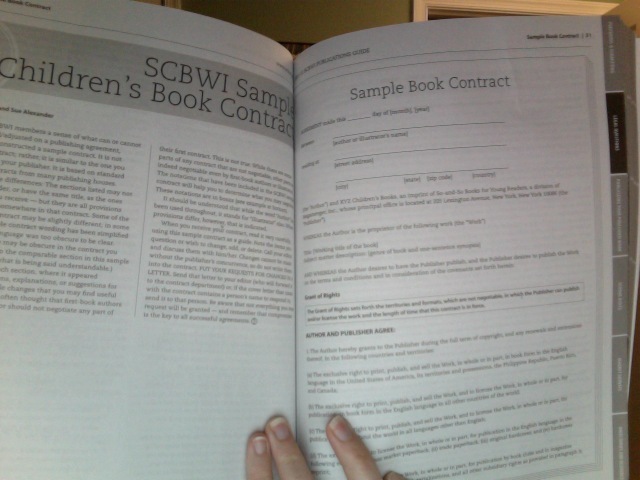 Today I received my Society of Children’s Book Writers & Illustrators membership packet with my membership card, bulletin, and publication guide. I ripped into that Express Mail envelope like a kid at Christmas. I highly recommend joining to anyone who writes for kids: picture books, chapter books, YA, and everything in between. Preparing and submitting your work with info on critique groups, formatting manuscripts, types of publishers, query letters, FAQ with a children’s book editor, and more. Legal Questions like contracts and copyrights. Publicizing your published work including grassroots promotion, keeping your book alive, web hosting and design, and more. School visit info on domestic and international directories as well as sample lecture contracts. 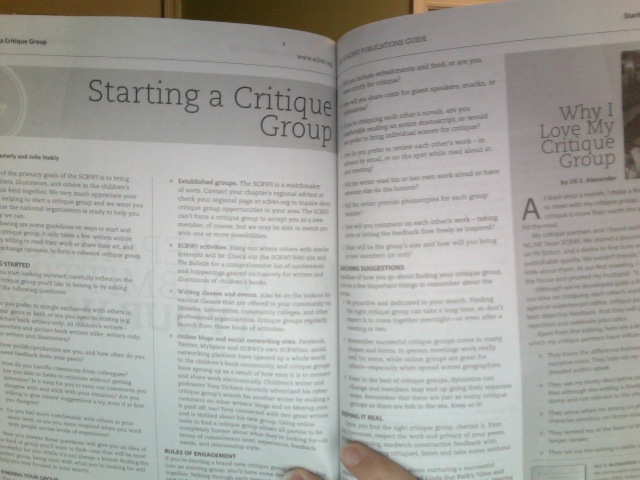 Market surveys including small press, magazine, religious, and educational presses. 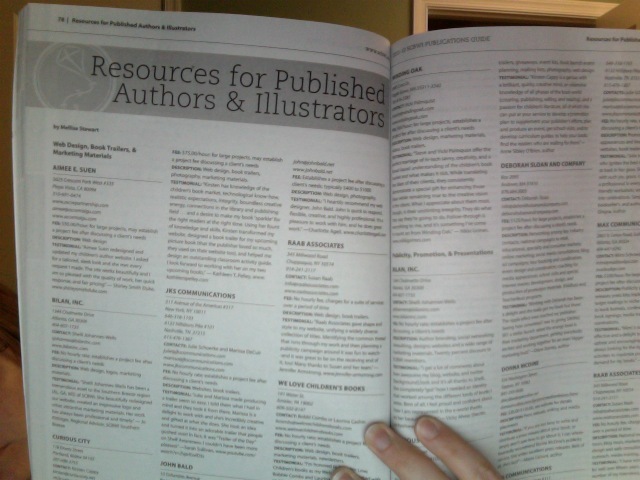 Directories & resources that were enough to make me bounce like an Easter bunny on speed. There are times when I shell out money for a membership and a year later don’t feel it’s worth it. 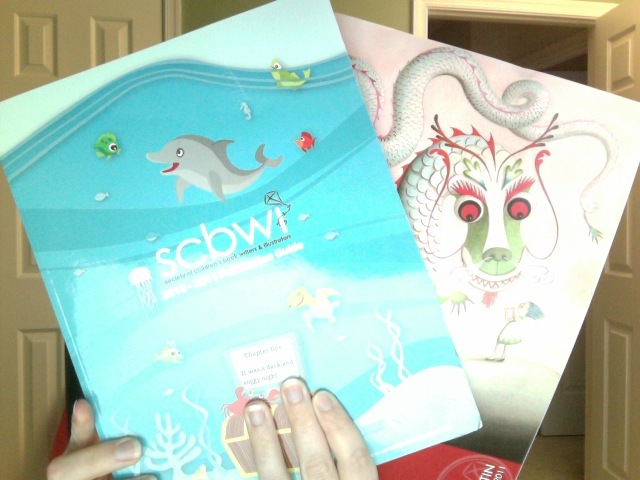 I’m only a few weeks into SCBWI membership and I’m already 100% convinced it was worth the membership cost. I’ll keep you posted on more membership perks. Can you recommend other great professional organizations for writers?